In 1991, it entered the market of medium sized model of Audi 100 with an internal designation C4, which in 1995 in the process of profound modernization reincarnated in the Audi S6 1995 the first generation, while maintaining all the same index. Serial production of the car lasted until 1997, after which the company introduced the world to "six" next generation. The first generation of Audi S6 is a medium sized model (E-class) of the premium segment, available in sedan and touring types of five-door wagon. 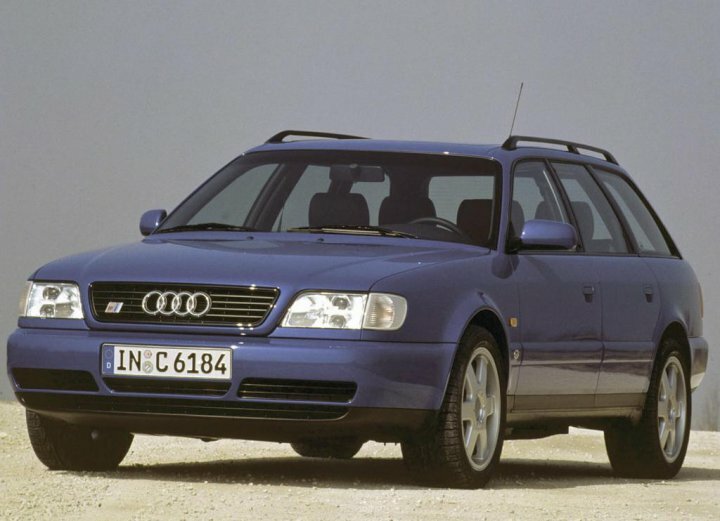 1995 Audi S6 has the following dimensions to the external perimeter: 4797 mm in length, of which 2687 mm wheelbase occupies 1783 mm width and 1430 mm in height. Utility option above 10 mm, the rest - is identical. Above the roadway "six" stretches to a height of 120 mm. Despite a short life cycle, on the Audi S6 1st generation was set a wide variety of power plants. Gasoline part was represented by atmospheric four-, five- and six-cylinder (inline and V-shaped) unit volume of 1.8-2.8 liters, generating 101 to 193 horsepower and from 157 to 280 Nm of torque. Equipped with the car and the turbo diesel "fours" and "fives" working volume of 1.9-2.5 liters, the impact of which has 90-140 "horses" and 202-290 Nm of peak thrust. Engines combined with the "mechanics" of five or six-speed or "automatic" with four ranges, front or permanent four-wheel drive. 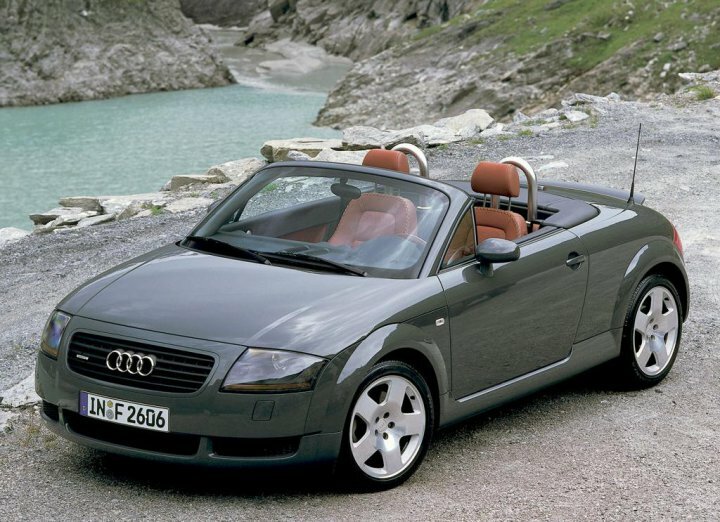 At the heart of this car is the car C4, which was also based Audi 100. The front suspension is presented four lever arrangement, but the design of the rear suspension is dependent on the modification: S6 c on the front-wheel drive - a simple bar, and full of drive - independent, no. The structure provides for a steering hydraulic booster and the braking system has disk devices on all wheels (front - ventilated). 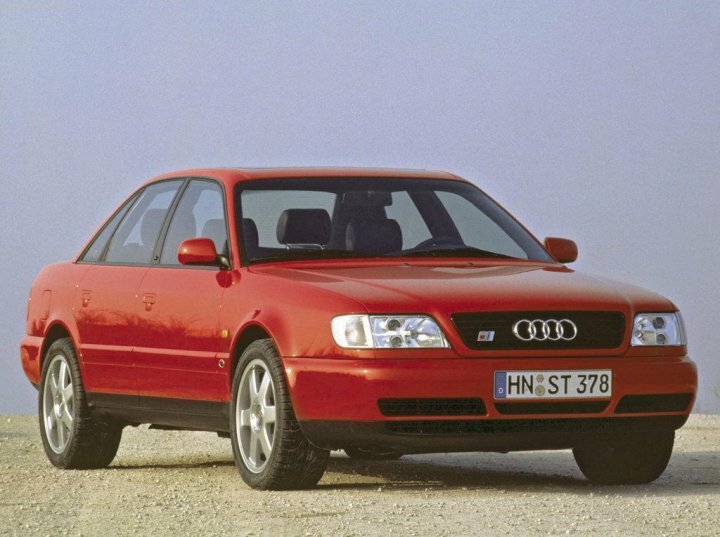 Advantages Audi S6 in the back in 1995 - robust design, excellent sound insulation, powerful engines, roomy interior, solid appearance, rich equipment and good handling. Disadvantages - some harsh suspension, costly maintenance, high fuel consumption and a small clearance.